During the month of June, Loudoun Nowasked readers to share their recommendations about their favorite places, people and businesses. The response was enthusiastic. More than 5,000 names were submitted as nominations in the poll’s more than 200 categories. That’s double the number of nominations submitted last year. 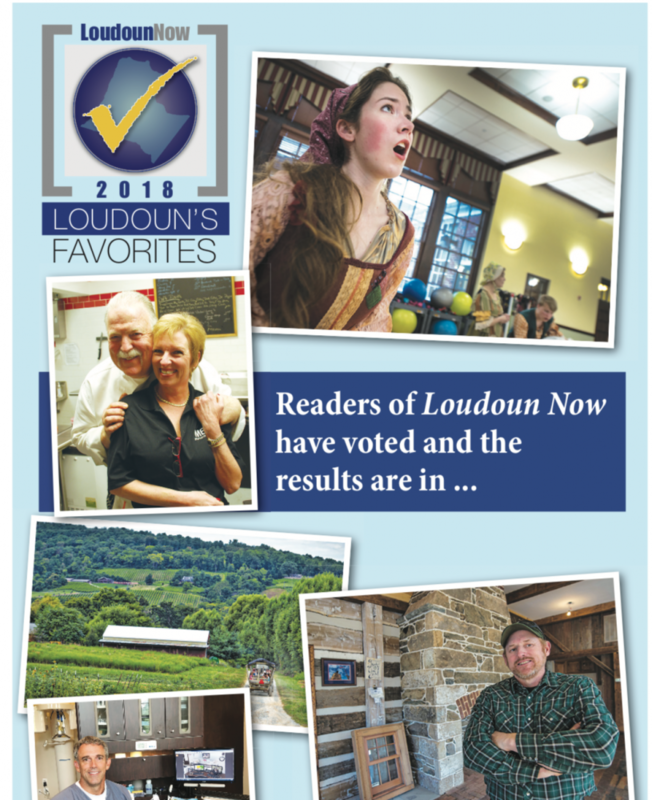 Voting ended June 30 and the results are reflections of all things Loudoun: Categories with the largest number of nominations included schools, places of worship, child care centers and restaurants. In classic Loudoun style, the categories with the highest number of nominations was teacher (106), followed by resident Realtor (105). Winners spanned from some of the county’s oldest businesses to its newest. The Nichols Hardware, which opened in Purcellville in 1914, remains a favorite errand destination, while Clay & Metal Loft, which opened this spring in Leesburg, was voted the readers’ favorite specialty store. This special section announces the winners in all categories and puts the spotlight on a few. The list of winners also can be viewed at loudounsfavorites.com. The winners will gather for a special reception Thursday, July 26 at Stone Tower Winery near Leesburg—the 2018 winner of the readers’ favorite winery and favorite wedding reception venue.